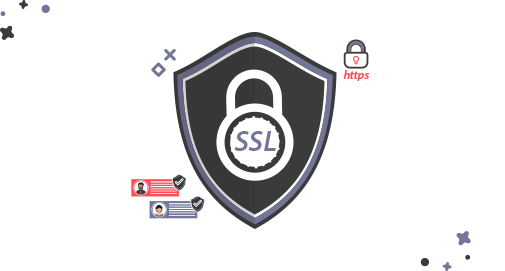 When the visitor clicked on an SSL secured link, the certificate automatically creates an encrypted connection between it and the browser. All transmitted data and passwords between the browser and the website are now in encryption mode, which cannot be obtained by hackers. SSL Certificates provide the website visitors with the utmost level of security. It will boost the visitors’ confidence in the website as proof of website security. It will also enable the encryption of the data transmitted between your web server and the visitors’ web browsers to provide protection against any threat from a third party. Important questions about SSL Certificates. Does the certificate require a private IP or a private server? No, it can even install a security certificate on your hosting account without our having a special IP or a special server. Will the security certificate protect my site from hacking? The security certificate encrypts the data sent and received between the visitor and the site, which means that it protects only against Sniffers / Man-in-the-middle attacks, which view the contents of the data sent, and thus capture passwords, credit card numbers, etc. Can a security certificate be issued for less than one year? The issued security certificate can not be issued for less than one year. Can I change the domain name in the security certificate after issuing it? The domain name can not be changed after issuing the certificate.